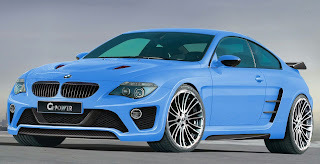 German BMW tuners G Power claim to have built the fastest BMW Coupe ever created: G-POWER M6 HURRICANE CS. The company says the G-Power M6 Hurricane CS has a top speed of over 370 km/h. 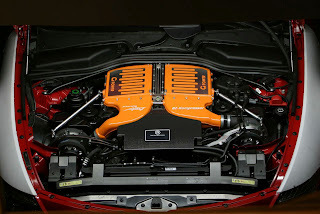 By using the same twin-supercharged V10 SK III RS found on their M5 Hurricane CS, the car that used the 750 hp engine to claim World’s Fastest Sedan last year, marking a top speed of 367.6 km/h, the M6 should be able to top that, as it features a more aerodynamic body than the sedan. Air is cooled down by a water-to-air cast-aluminum intercooler and hard-pressed into two ASA T1-316 belt-driven superchargers. BMW claims no typical supercharger lag with these units, saying that throttle response is immediate, as is the increase in torque. Peak torque output is 800 Nm at about 5,000 rpm. Weight was cut down everywhere, with upgrades made to the exhaust, the seats, and suspension. New carbon fibre wide-body kit with new front apron, vented bonnet, rockers, wheel arches, diffuser, rear apron, and rear wing, keeps the car on the ground. Connecting the car to the road are Micheline Pilot Sport PS2 tires, wrapped around 19-inch custom light-alloys. Carbon-ceramic brakes, and six-piston calipers, provide extreme deceleration. Tire and wheel changes were necessary for the speed tests. G-Power says the 21-inch Silverstone Diamond wheels and the normal tires used would not survive beyond 340 km/h. 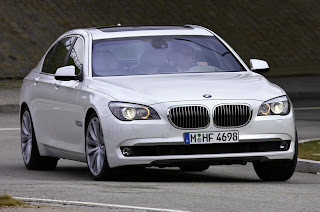 To make their point as emphatic as possible, the G-Power M6 Hurricane CS has a speedometer that reaches up to 400 km/h. Price starting at €360,000.